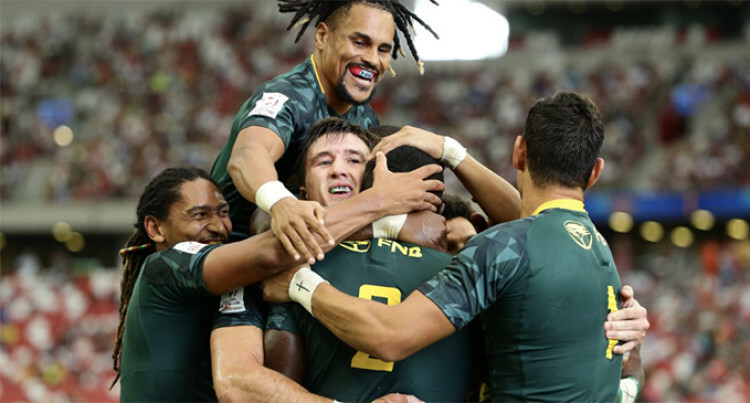 This is South Africa's second tournament win in the HSBC7s series 2019. South Africa on top of the world after beating Fiji at the Singapore 7's 20 - 19. It was a exhilarating final at the Singapore 7s. Despite dominating the first half by 19 points to 0, our Fijian 7s side was not able to reply to South Africa’s back to back tries in the second half. A yellow card to Fiji proved costly. South Africa beat Fiji 20 – 19. In the overall World Series Standing, Fiji is now only 3 points behind the United States. And the pools for next month’s London 7s are out.